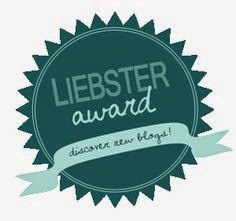 Liebster Award Nominations - The Bloggers behind the blogs! Q1. Why did you start your blog? For as long as I can remember I have always read and enjoyed blogs. I started reading beauty and fashion blogs and over time my interest in them grew and grew. Everyday I would find someone new with different views and interests and it really inspired me. It really opened my eyes and amazed me to just how much is actually out there, how much you can do and how if you work hard enough and stay with the right mind set you could actually build your own career doing what you love. Q2. What cause is closet to your heart? Q3. If you could describe yourself in 3 words, what would they be? Shy (until I get to know you), sensitive and determined! Q4. Where do you see yourself in 5 years? Q5. What movie defines your life? Confessions of a Shopaholic! Haha! Q6. If you could be anyone for a day who would it be? Q7. Who do you admire most in the world ? The person I admire most has to be my Mum. She is amazing! Q8. If you won the lottery tomorrow, what's the first thing you'd do? I would book a luxurious holiday in Greece and stay there for two weeks to relax and clear my mind so that I could decide how I was going to spend my money! Q9. What words do you try to live by? Life is short don't be lazy! Q10. Do you have a bucket list? I have a list of goals I want to achieve, so that's kind of like a bucket list! Q11. What is your favourite meal in the world? I cannot live without a tan! 1. Who is your favourite celebrity? 2. Name one beauty or make up product that you cannot live without. 3. Where would you most like to travel too? 5. What is the one thing that you would love to do if you had no responsibilities and money was not an issue? 6. What is the most charitable thing you have ever done? 7. What is your signature scent? 8. What is your go to nail polish colour? 9. Where do you see yourself in ten years time? 10. What celebrity would you love to go out to dinner with? 11. What's your life's ambition? So guys and girls, I really hope you enjoyed this post. Hopefully my questions aren't to hard and you learnt a little bit more about me. If you have any more questions please post them down below and I will get back to you as soon as I can. If you haven't already follow me on facebook @Bella and Vogue-Blog instagram @bellaandvogue and twitter @KerrieAnne_ox to keep up with all things beauty and fashion. As usual thank you for your continued support and thanks again to June! Now I must tell my chosen nominees!